Great Reading Gifts for Under the Tree This Holiday! My kids are going to be getting a lot of books from Santa this year. Some people think that it's not going to be their favorite gifts, but I know otherwise. My boys LOVE to read, and with so many exciting titles out this winter, I know that they'll spend many afternoons curled up in a blanket next to our picture window reading pages of their favorite titles. In preparation for this favorite time of year for reading, I wanted to share some of our picks for the kids this season. You'll find something for everyone on our list! Momotaro: Xander and the Lost Island of Monsters -- Xander's just like my own son (a comic fan who love to make video games), but when he's thrust into a world of magic and adventure, he realizes that he's living a real-life game that he might not get out of alive! This book for 3rd through 7th graders has a foundation in Japanese culture, so kids will learn a little something, too! Shadow Magic -- In this topsy-turvy book, all the things you were taught to fear (zombies and dark things) are actually good. Fantastic and full of descriptive scenes of things that go bump in the night, kids can follow along as the main character dares to break the rules and save her people from certain demise. 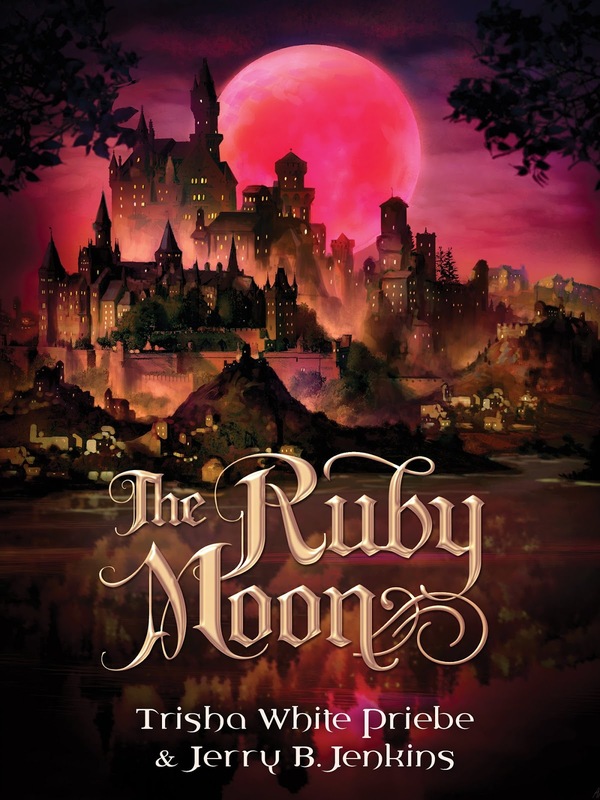 The Ruby Moon -- In this long-awaited sequel to the Glass Castle, the Olympiads are coming, and Avery hopes to be able to sneak in as a male runner by hiding her identity. But what if she gets caught? Can she stay out of the dungeons long enough for victory to be hers? 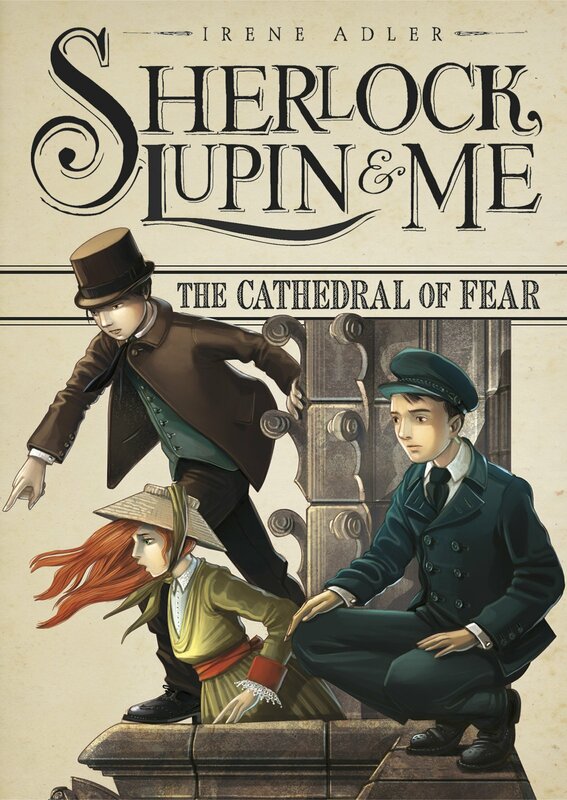 Sherlock, Lupin, and Me (The Cathedral of Fear) -- This newest book in the Sherlock, Lupin and Me series takes kids back in time to when the world's greatest mystery detective was a child. What great things will they discover in a creepy crypt beneath Paris? And can they stop the treasure from being stolen? 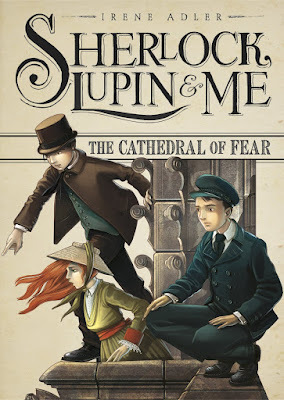 Kids will love this who-dunnit with a focus on youngsters solving crimes. 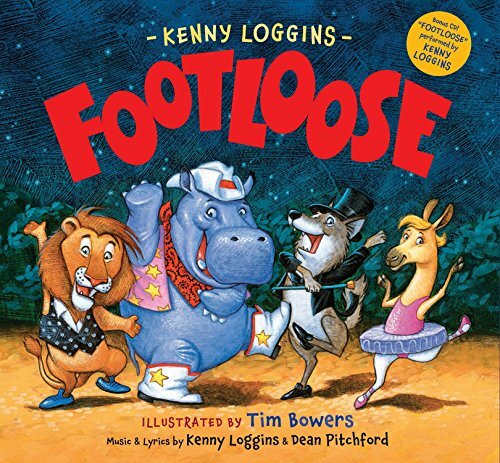 Footloose - Yes, this is the book fan of Kenny Loggins (who is now a grandpa) have been waiting for! In this delightful illustrated treasure, young ones can learn new lyrics to the 80's favorite, complete with dancing animals and a CD version of the song in the back of the book. What a darling way to get down and get footloose! 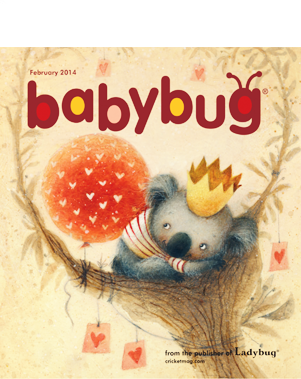 BabyBug - This magazine is almost like a board book with its sturdy pages, bold illustrations, and stories that babies and toddlers can relate to. 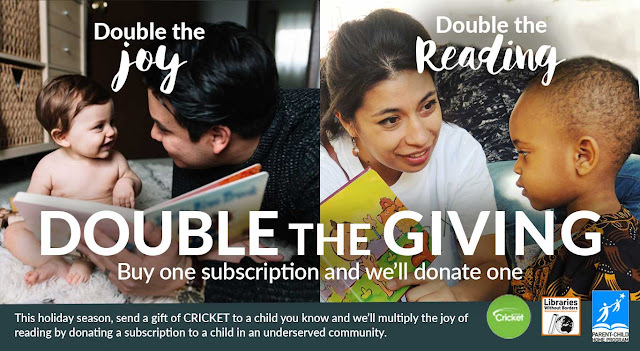 Complete with a few short and engaging stories and poems per issue, they are great for introducing a love of reading at an early age! For kids 3 and under. 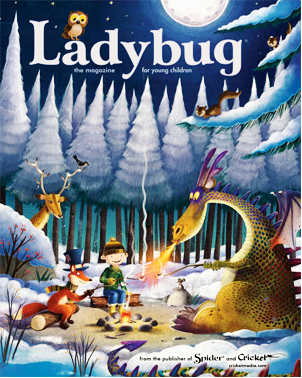 LadyBug- Designed for readers ages 3-6, the stories are perfect for preschoolers. Meet lovable characters, hear new words and rhymes and see what amazing things the world can show through story! 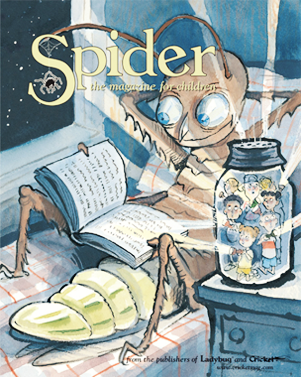 Spider - The stories inside this magazine take readers ages 6-9 into the world of starting to read on their own. All of the pages are perfect for reading aloud, both alone or with an adult. Kids will want to read each issue again and again! 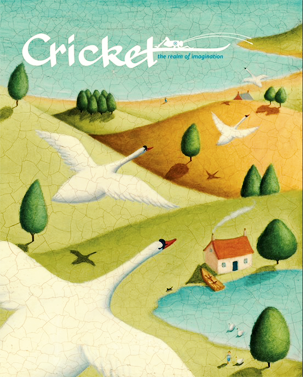 Cricket -- This is the magazine I remember reading the most growing up. The stories are always full of color and feeling. Aimed at 9-14-year-olds, it's been educating and inspiring kids for over 40 years! Hours of reading inside every issue make it a great value for under the tree.